The data was added on ,	24 July 2016 read 617 times. 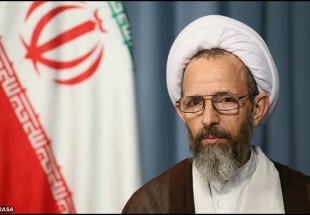 Grand Ayatollah Mahmoud Rajabi, member of Society of Seminary Teachers of Qom, in an interview with RASA News Agency referred to the decision to try prominent Shia cleric, Sheikh Issa Qassim under false accusations stressing that Arab Sheikhs are puppets of world arrogant powers, reported Taqrib News Agency (TNA). Ayatollah rajabi noted the logic of Bahraini people to demand their rights through peaceful demonstrations and said,” These people demand nothing more than their religious and human rights which are admitted by the international community” Criticizing the orders issued by world arrogant powers as part of Islamophobia moves. “Once Muslim clerics unite in a firm stance then hostile intrigues to disperse Muslims will be foiled” said the Iranian cleric.